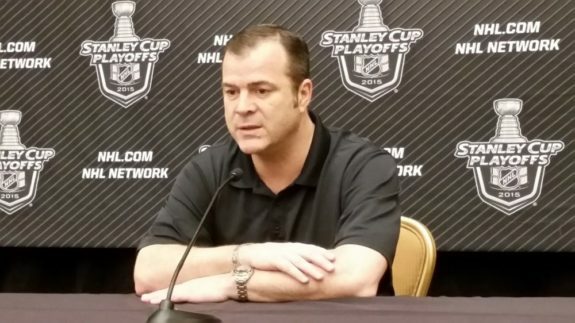 The Philadelphia Flyers have hired Alain Vigneault as their new head coach, the team announced Monday. Vigneault most recently worked as the head coach of the New York Rangers for five seasons from 2013-14 until 2017-18. 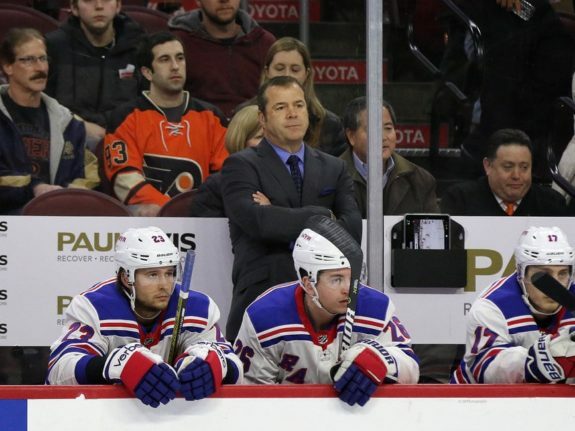 This is the fourth team that Vigneault will have coached in the NHL having spent time with the Rangers, Vancouver Canucks and Montreal Canadiens in the past. He’s led his teams to a 100-point season in eight of his last 11 full seasons as a coach and has won seven division championships, qualifying for the postseason 11 times and making it pas the first round eight times. One knock on Vigneault was his preference to play veteran players as opposed to younger players in New York. This isn’t necessarily a bad thing as nobody knows what occurs behind closed doors. Still, he’ll have to get used to playing some of these younger guys more consistently with the sheer number of young faces he’ll have as the Flyers’ coach. Inconsistency has been the name of the game for the Flyers who have failed to qualify for the postseason in two consecutive seasons since 2012. The team has made the playoffs three times and missed it four times since 2012-13 and have failed to get past the first-round in any of those years. With Vigneault at the helm, the goal is for the team to find consistency first and foremost. Once the team can figure out who they are as a team, the aim is obviously set on a Stanley Cup.